I’m sorry to say that all I have show this week is more of the same. Or nearly the same. I actually decided to abandon the mitten from last week and start again with a new chart, which I like a lot better but, unfortunately, I took a screenshot of the chart and I have lost where I pinned it so I can’t link to it today. I hope it will turn up and I’ll share it next week. And I’ve edged and sewn together some more hexies. I have decided to leave out the white and navy blue flowers and I’m getting towards the end of finishing the batch of centres I made the week before last. It’s starting to look like about a pillow’s worth but, in terms of the time it takes deciding which colours to put where and making new individual blocks, I’m probably just over half way. 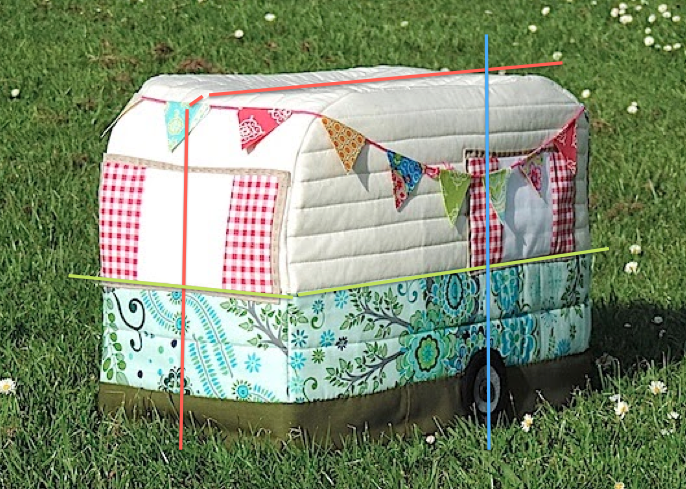 And I’m feeling very tempted to leave my blanket plan and make these into a cover for this box, which doubles as a little seat in my sewing room. I think they’d brighten the room and that the individual flowers might have more impact in a project of this size, not to mention that a blanket made of these would be quite thin and much warmer in wool…Perhaps once I have a rectangle sewn together and cat-proofed I’ll trial them here and on the bed and then decide. 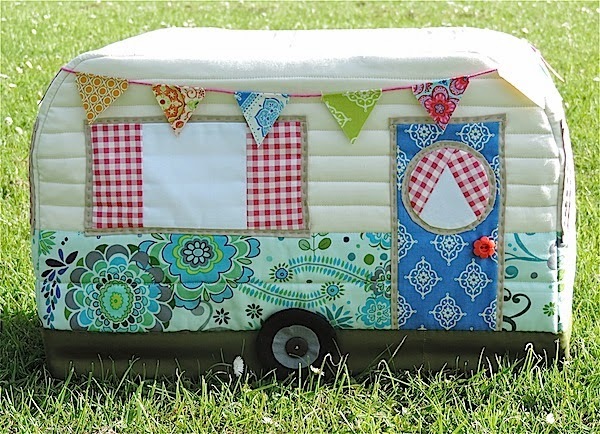 I love those hexagons and think they'd be great as a cover on your blanket box! Those hexies are so pretty. They will look beautiful as the cover for your seat. Your flowers a really so pretty. I reckon they would look excellent on that box, only I would worry that they would get ruined with even minimal use of the seat. 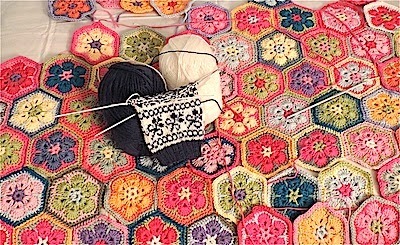 Those hexies are just lovely!!!!! Whoa… you have some crazy skills going on over there! Wow! Everything looks beautiful! The hexes will be brilliant for covering the seat top and it does not look as if you will have to make too many more to get the project finished. Push on! Mmm…decisions, decisions whatever you do with your gorgeous hexies will be great. How about you do both. 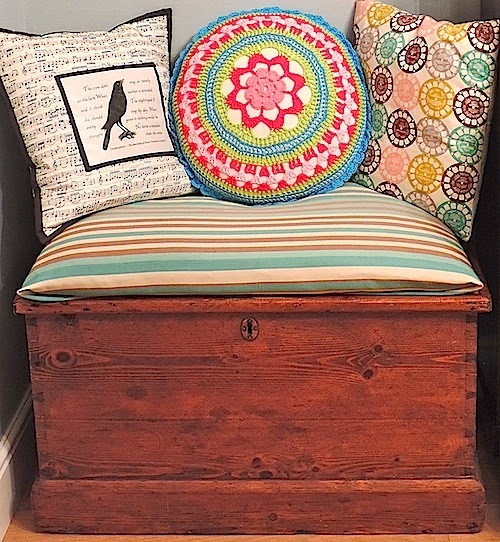 ;) I love that little seat in your sewing room. Where oh were did you get that beauty from? It would look lovely covered with your hexies. 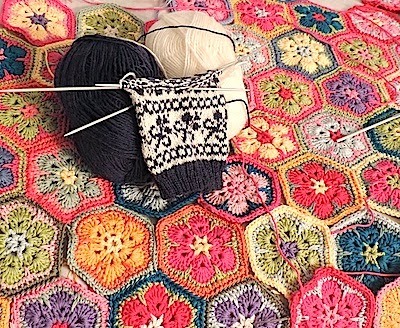 It's all taking shape looking pretty and the mitten pattern too!